I haven’t looked at this thread in some time. Nice to see this project coming along. I actually feel the new design is preferable. I understand the minimalist style and appreciation of the original and like it too but these pics above seem more appealing to me. I like the clip too. The clip on my Manker E14 makes me worry because it “clips” onto the light as well (I just feel like it could accidentally push out/unclip when hanging on my waist). This FW3A looks like a good EDC or ‘go to’ light for me. I keep hearing about The Miller’s ‘absence’… Where did he go?? Question for those that use a pocket clip… do you put the light inside your pocket with only the clip showing outside or the opposite of that? To me it makes no sense to have the flashlight outside the pocket where it could get snagged and ripped off the clip, lost or broken. My son-in-law carries his X6 with the light outside, or used to, back when he used it frequently during his night shift. In the same sense that a folding pocket knife with a clip goes inside the pocket, displaying only the clip, I carry a small flashlight clip out, light protected inside the pocket. To my way of thinking, the clip keeps the light up at the edge of the pocket ready for a quick grab and also away from loose change and keys and such. If the clip were to get hung up and ripped off the light, the light would merely fall into the pocket. So the clip is just a way to keep the light close to hand, ready to grab if and when needed. do you put the light inside your pocket with only the clip showing outside or the opposite of that? I carry lights inside my pocket with the clips showing outside. I can comfortably pocket carry lights up to the size of an X6 in most of my pants and shorts. While hiking, I wear a floody headlamp and use a thrower when looking for a landmark or trail. 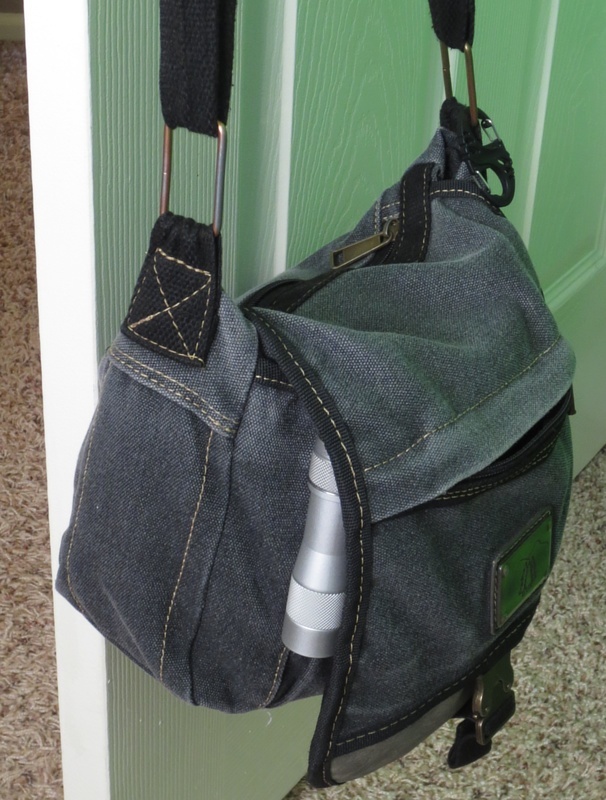 I frequently clip an X6 to my backpack’s shoulder strap or outside the breast pocket of my shirt or vest, but very rarely outside my pants pocket. Seems risky. So the clip is just a way to keep the light close to hand, ready to grab if and when needed. Exactly! The clip keeps the light vertical and easy to retrieve from a pocket. The only time this has failed me is while exiting a vehicle. On two occasions, the seatbelt snagged my EDC’s clip and pulled the light out of my pocket. Luckily I noticed right away. Could you register my interest for 2 units please? Not sure i got added to the list, could you put me down for 2 please? Around Christmas time he posted back that he was feeling better and was going to try and catch up on all the threads, but he never did. We told him not to try that as it’s too much work and we would give him notes of the important stuff. That way he could just join back in. Then he dissappeared again. He seems to be just living life with his wife and son. I can’t blame him for that. He’s not on social media, but his wife is, and everything seems to be okay with him. What diffuser are you using for your Q8? Dale sent me one made by ZozzV6. I don’t really know the details, but Zozz would. It’s a very tight fit; I actually had to sand it town a little to make it easier to put on. You can find every flashlight related 3D printed stuff in my sign. You can download and print them. Most of them are not will be perfect fit at first time because every printer has different accuracy especially the cheap ones so maybe you need to print some and adjust scale for perfect fit. I wonder when the FW3A will go on sale. 3 months? 6 months? Thanks for responding. It’s good to know and I didn’t want to come across nosy. He’s just a big part of the forum and it’s good to know he’s ok. Glad he’s taking time with his family. He’s been so freakin’ busy with some HUGE group buys lately; sounds like a healthy choice. Thanks again for filling me in. He has done A LOT. I wish him the best, and hope he returns in whatever capacity, whenever he is ready. How would would keep up with his wife on social media, if it is okay to ask? Question for those that use a pocket clip… do you put the light inside your pocket with only the clip showing outside or the opposite of that? Usually I have no pockets. However, a light can be clipped to a purse or, when wearing an outfit with more than one piece, at the waist. When can I get my FW3A? Been out of the forum a lot myself recently, coming back in and seeing the sleeker design cues it looks pretty good. Not sure why I took the stance I took earlier, grouchy in my old age I guess… my apologies to all concerned. If I’m wearing pants with a pocket down the side of the leg I’ll have the light in / pocket clip out. Otherwise hip pockets are uncomfortable for any sort of bending, squatting, sitting (car included). I don’t wear jackets much but don’t use the clip on the rare occasion I have a light in a jacket. So I usually hang the light outside the pocket or on the belt. Hi, thanks for helping put this together. I'd be interested in one please! Has been a while. So far it looks like BCD or just C, depending on where the threshold is placed. The current firmware implements BCD, so it looks like probably no change. Can I be added to list for 3. The floor and ceiling are configurable. By default, C and D are the same… but the user can configure the ceiling to be higher or lower than default. Similarly, one could also set the floor level A to be above level B… but I doubt anyone would want to.